Musician’s Friend is serving up a fine deal in advance of Black Friday, with a hefty discount off D’Angelico’s Premier Gramercy acoustic guitar. This grand auditorium electro is available for $299, which is a whole $200 off the original asking price of $499, as part of MF's Stupid Deal of the Day initiative. 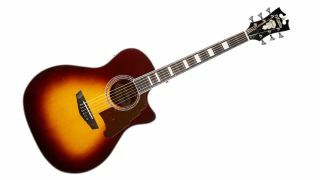 Given the guitar’s solid Sitka spruce top, onboard preamp/tuner and overall classy aesthetic, that’s quite a deal - it’s available in Natural, Vintage Sunburst and Grey Black finishes, too.